Newfypoo Breed – Breed info, puppies weight growth chart, grooming tips and more. Breed info, puppies weight growth chart, grooming tips and more. 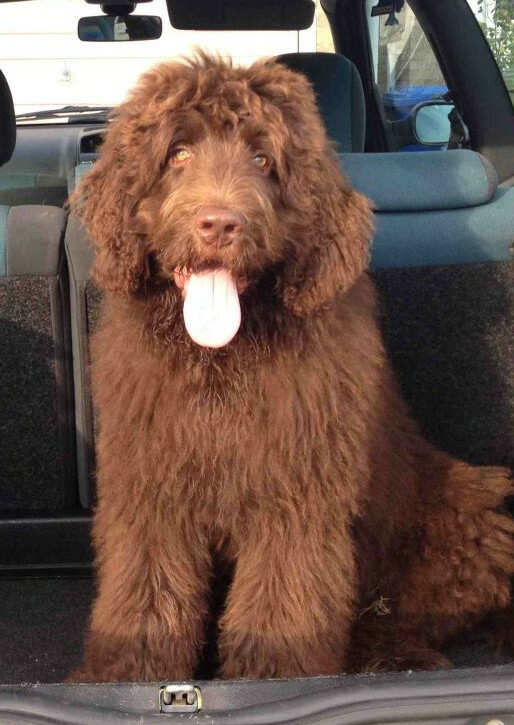 The Newfypoo is a cross between the Newfoundland and the Poodle. It’s consider a poodle mix, designer dog, hybrid dog or hypoallergenic dog breed. The breed mix is considered a hypoallergenic dog breed. Allergens can also be found in a dogs saliva and dander. The hair not fur that poodles have can help temper a person’s allergies to pet dander. Breeds that shed less are more likely to be hypoallergenic, Newfypoos are a low to no shed dog. The Newfypoo is a very intelligent dog and takes to positive reinforcement training very quickly. The Newfypoo is typically a very calm dog. The Newfypoo is a loving, loyal and smart dog. Puppies are easily house broken and have sweet temperament. Puppies are breed and for sale in the U.S., Canada, and England. Visit newfypoobreed.com as new studies on the temperament and health mix are published. The best way to determine the temperament of a mixed breed is to look up all breeds in the cross and know you can get any combination of any of the characteristics found in either breed. Not all of these designer hybrid dogs being bred are 50% purebred to 50% purebred. It is very common for breeders to breed multi-generation crosses. Also known as a Newdle, Newfypoo, Newfiepoo and Newfypoodle. Newfypoo breed dog grooming style. Newfypoo dog breed 3 month puppy.